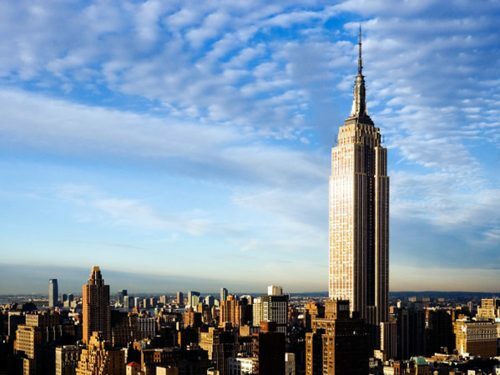 A woman once jumped off the 86th floor of the Empire State Building, and luckily she LIVED. The luck of a person has enough strength and capability to save him/her from any adverse situation or condition. Sometimes, this feature of luck leaves us astonished and we are left wondering how such miracles happen to take place. Such a “luck scenario” is discussed below. On December 2, 1979, Elvita Adams, a 29 year old woman heard a man talking about landing on the ledge of The Empire State building by a gust of wind; and only by hearing this, she jumped off from the observation tower of the same building. The Empire State Building is a 102-storeyed skyscraper located in Midtown Manhattan, New York City. It has a roof height of 1,250 feet and stood as the world’s tallest building for nearly 40 years. Over the years, more than 30 people have committed suicide mostly by jumping from the top of this building. Only two people have miraculously survived the jumps. Elvita Adams survived the jump luckily by a 30 mph gust of wind which carried her to the ledge of the 85th floor from where she was rescued by the security guards; she was miraculously alive and landed with a broken hip. Furthermore, On April 25, 2013, a man jumped off from the 86th floor observation deck but landed alive on the 85th floor from where the security guards managed to bring him inside the building where he suffered only minor injuries. Hundreds of suicidal attempts continue to happen and countless people die every day. Very few people survive the suicide attempts, which can only be considered as a miracle of luck. Next articleBlue-eyed people tend to require more alcohol to get drunk compared to people with dark eyes!